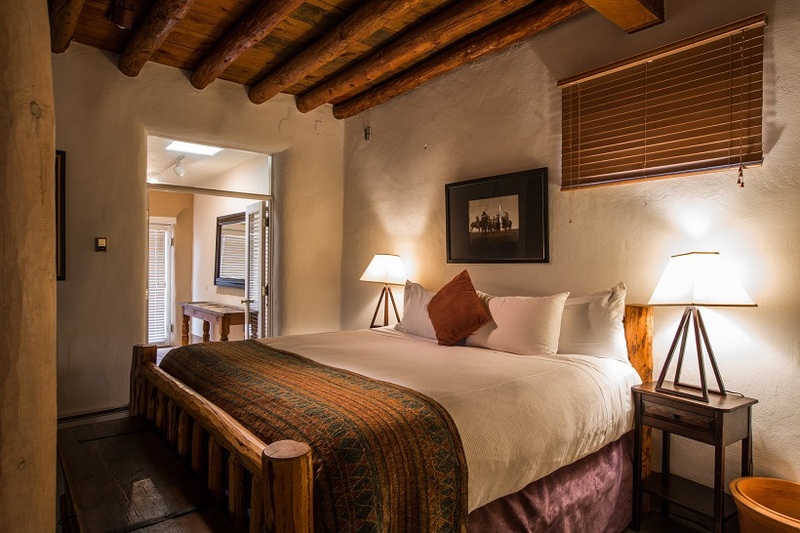 Super Casitas offer the warmth and charm of Santa Fe. Enjoy the romantic glow of the fireplace and a plush king size bed. The spacious open floor plan living room provides a delightful ambiance. One bedroom super casitas also include a kitchenette with all utensils for cooking and a dining area for 4. Other amenities provided include flat screen TVs, Wi-Fi, Deluxe continental breakfast, robes and slippers, mini refrigerator, microwave, coffee maker, iron and ironing boards, hair dryers, and outdoor entrance and complimentary parking. Refundable One Night Deposit with 48 hour cancellation policy. If Credit card declines your reservation will be cancelled at that time. One night deposit required at time of booking, refundable if cancelled with 48 hours notice. If your credit card declines your reservation will be cancelled.